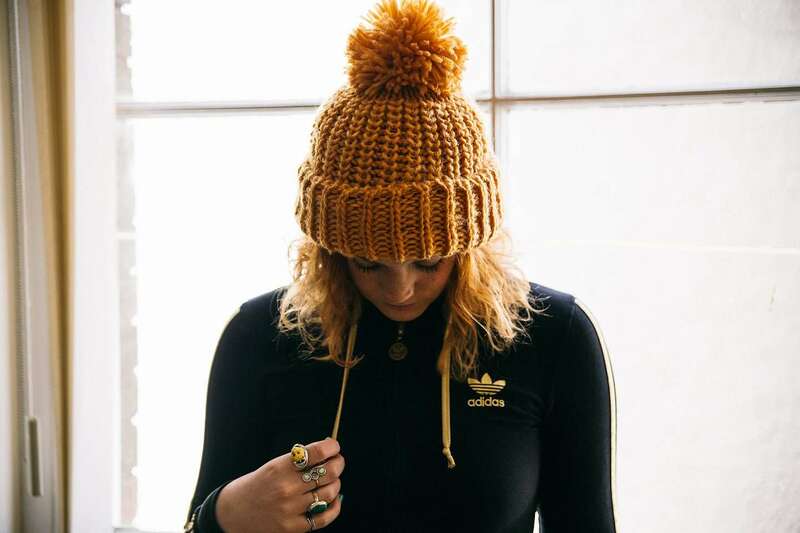 So we only went and caught up with 2 x UK Beatbox Champion Grace Savage didn’t we. Grace has not only won the title of UK Beat Box Champion twice but has recently been listed as one of ELLE UK’s ‘Top 100 inspiring women’ and we can see why. She sings, she acts, she beat box’s and it turns out she’s on our team too girls! What more could you want in a role model! Nothin, that’s what. Check out what Grace has to say about her career, coming out, and much more below. For more information on events and what Grace is up to next be sure to visit her website, gracesavageofficial.com. 1. When did you start to learn to beatbox and what inspired you to do so? I started learning the basic sounds when I was around 15. I grew up in a small-ish town in Devon and I knew a few people that were into beatboxing, I was lucky enough to learn from them and from humanbatbox.com – one of the first websites to provide an online community for beatboxers to learn and share about all things beatbox. 2. Beatboxing seems extremely hard (we’ve tried), how many hours a day do you practice? I definitely don’t practice as much as I used to! There was a time in my earlier career when I was practising one or two hours a day but I focus more on improving my singing and songwriting skills now. 3. Who are your role models and why? My mum. She encouraged to pursue a career in the arts and gave me the confidence to tell myself I can achieve and do anything if I set my mind to it. She probably would have let me tattoo my face if I really wanted to as a teenager….I had a lot of freedom! it wasn’t until I got older that I realised how unusual it is to have such a free and easy parent. 4. What’s your best piece of advice for other women and girls that want to get in to beatboxing? Practice Practice practice…and be unique. Lots of beatboxers are starting to sound the same now that the internet has become such a breeding ground for new talent – lots of people are copying professional beatboxers that they see on youtube and not coming up with their own style. The most successful and interesting beatboxers to me are the ones who have their own thing going on. 5. If there was a magic telephone that you could call yourself when you were 15, what advice would you give? Well at that age I was OBSESSED with having a boyfriend like all my friends did….I would tell myself “it’s okay. You’ll never have a boyfriend….but you will find love”. Actually, that’s a bit cryptic isn’t it? That would probably do the opposite of comfort me. 6. Who do you rely on the most for moral support? Probably my best mate Chloe. We’ve known each other for 15 years now and she know me better than anyone on this planet. 7. So tell us about your band, what’s the story and what do you have planned? Ooof! The story is quite a long and complex one but ill try and capture it in a sentence: I spent 4 years working with a producer and rehearsing the songs with a band but last year I had to walk away from the entire project because of a bad contract that I refused to sign. SO. This year has involved me writing again from scratch and figuring out my new sound. I’m having loads of fun writing new material, working with new people and getting back up on my feet again as an artist. New music to come in 2017! 8. You beatbox, you act, and you have a band, how do you fit it all in? I’d be bored if I was just doing one thing! They all sort of bleed into each other quite nicely and often I find myself beatboxing in theatre shows or using stories and narratives from acting work to help write lyrics etc…it’s all just different expressions of art and self. 9. What’s the best venue you’ve performed in so far? The best venue i’ve performed in is probably the Sydney Opera house last year, performing the music for legendary dancer Sylvie Guillem. It’s such an iconic venue. I felt very lucky to have that opportunity. 10. Do you have any lucky items or good luck rituals that you do before going on stage? Nothing specific but if i’m feeling nervous I like to be on my own, obsessively do my vocal warm ups, drink ridiculous amounts of water, make ridiculous numbers of trips to the toilet and yawn a lot…apparently dogs do that when they are anxious too? 11. What’s on your playlist right now? BANKS. James Blake. Nao. Solange. 12. What’s the last txt in your phone? From my songwriting partner Ben saying “Awesome” because I told him I would be at his studio today at 12pm. That’s boring, isn’t it?! 13. If you could have any super power what would it be and why? To be invisible when I want to be so I could follow Donal Trump around flick him repeatedly in the head until he can’t take it anymore and gives up being the president due to inconceivable “stress” levels. 14. Draw us your finest Nonchalant doodle?? 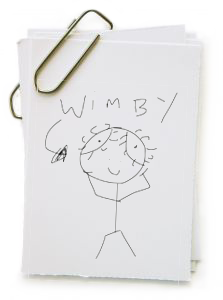 It’s a wimby – a character me and my best mate Chloe created when we were 13. Their heads are so large they have to hold them up when they walk. 15. If you were not a pro beatboxer what would you be? 16. If your house was burning down and you could only save one thing, what would it be? My diaries. I kept a diary on and off from the age of 7 – 16. There are some right gems in them pages! 17. When did you come out and do you have a good story to go with it? 18. Did you get more attention from girls after being crowned UK Beatbox Champion? No not a noticeable difference. 19. Do you have a girlfriend, if so where did you meet? If not, are you looking for one? Haha. I do. I seem to be a serial monogamist! We met through a mutual friend, backstage, when she was doing a show (she’s an actress). 20. What do you think of the Lesbian scene in London? I don’t really know much about it anymore but from the brief stint I experienced when I was single, it seemed cool. 21. Have you ever tried to impress a girl with your beatboxing? Not intentionally….but I suppose seeing someone on stage being confident and owning their craft (if I do say so myself) is always an attractive thing. 22. Have you had any fangirls? Erm….I’m not entirely sure what you have to do to qualify as a ‘fan girl’ but it’s always nice when someone appreciates your work and lets you know so. 23. Have you ever had a weird request from a fan? I’ve signed someones forehead after a gig?